If you can’t see images, please click here. 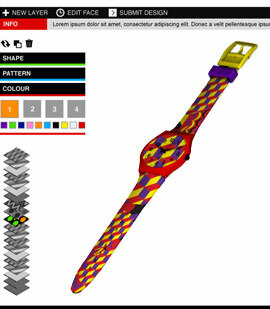 Swatch and our friends at MTV have collaborated this year to make sense of all the amazing creative inspiration on the world wide web. There’s a lot to see out there and we really want you to be able to find the best bits. Our focus is on Art and Design, and on the new site you’ll get a daily dose of it, including interviews with artists and fashionistas, bite-size articles, news, reviews and much, much more. 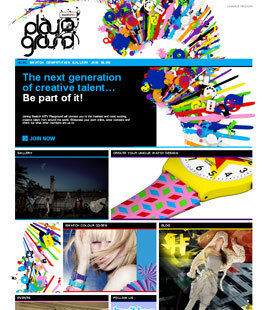 We never miss an opportunity to give away incredible prizes, so join us now at Swatchmtvplayground.com to enter our Creative Competition 2010. Consider this your official invitation!